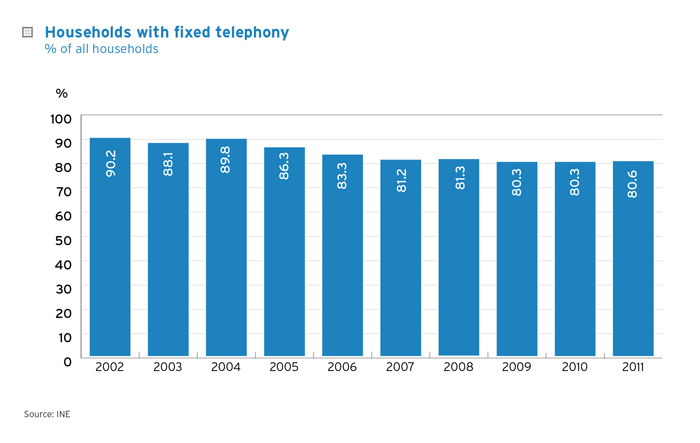 Total revenue from fixed telephone services decreased 9.37% in 2010, falling from €6,456 million to €5,877 million. Regarding the Spanish market, revenue and traffic volume continued the downward trend of the last years; the number of direct access customers increased, as well as the number of packages that include voice and other services (in the household segment, 64.2% of the lines had an Internet plus voice package at the end of the year, compared to 59% in 2009). Telefónica Spain continues to be the operator with the bigger market share by total revenue, with 74.9 %. Despite a light decrease compared to 2009, Telefónica maintains its supremacy over the rest of the operators. ONO should be highlighted as the second operator with 8.7 % of the market by revenue. 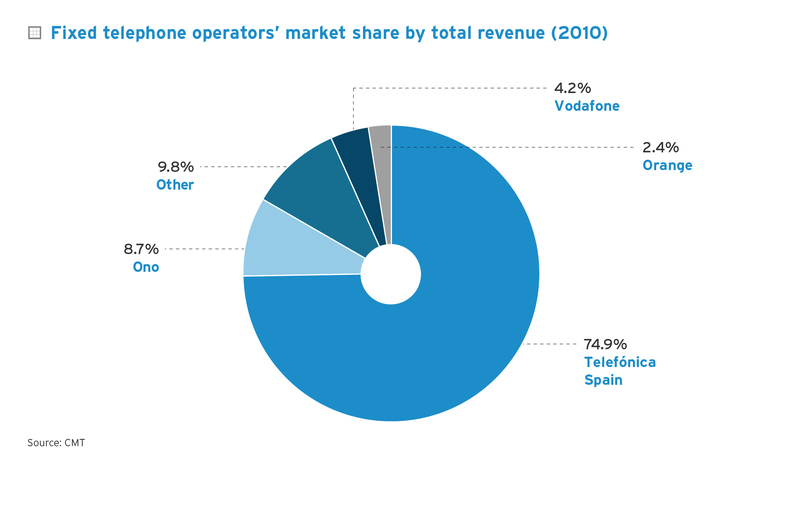 Operators' market share by total revenue from basic telephone services.